1. Your work schedule fits your life schedule. Whether you’re in school, raising a family or pursuing something incredible, our part-time Retail roles give you reliable flexibility. Great hours and even greater pay make it perfect for moms. 2. You can work anywhere life takes you. 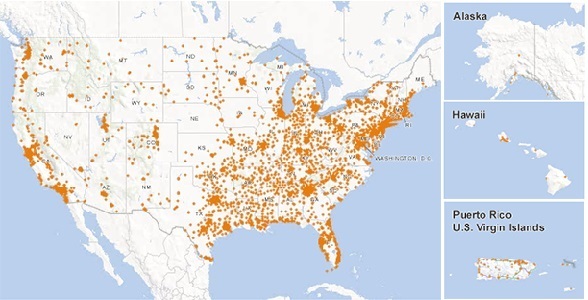 No matter what’s next for you or your family, there’s over 2,200 AT&T Retail locations to help find your next opportunity. 3. There’s plenty of ways to get creative. Think you’ll only be scanning items at checkout? Think again. Kristan Lepik has found her Retail niche as an Accessory Ambassador. 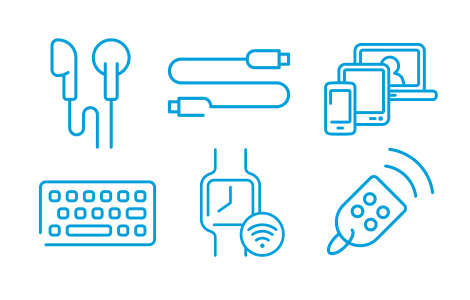 She combines the latest tech into awesome bundles for holidays, special occasions and new releases. That creativity has led her team to record-setting numbers. 4. The fun doesn’t stop – even after work hours. 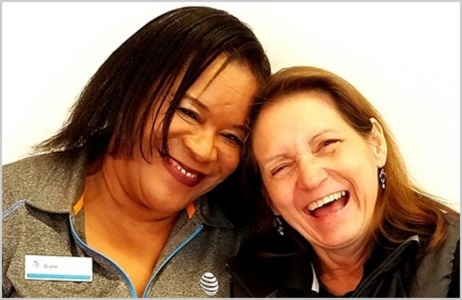 When you join #LifeAtATT, your coworkers become your second family. 5. We always support a good cause. 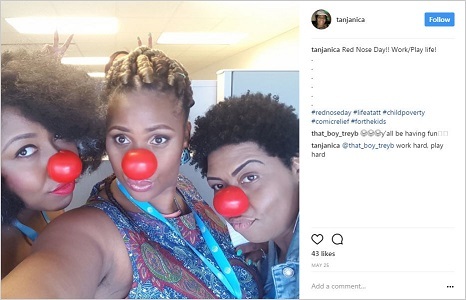 From Red Nose Day to Stamp Out Stigma, our employees are proud to give back to organizations they believe in. 6. 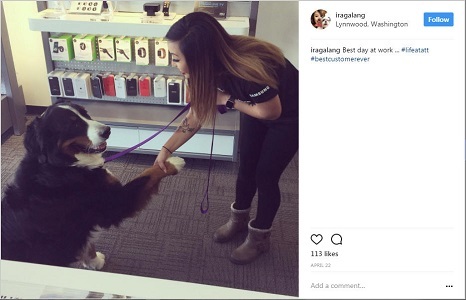 You’ll meet some really unique customers. And that makes for a pretty paw-some work day. 7. It’s never too late to find the best job ever. Tons of employees discover our part-time roles just in time for the golden years of their career. 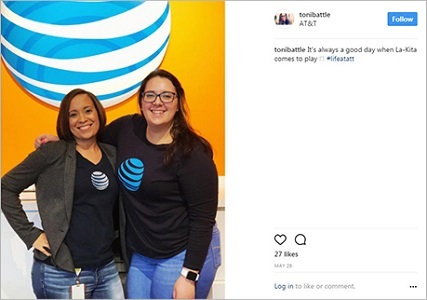 Working for AT&T is the best thing that has happened to me. I think it would be a great place to retire. 8. Employees start here. But they can go anywhere. You’ll have access to unmatched training and rewards to help blaze a trail toward even bigger opportunities. 9. You’ll work with a world-famous company. Everywhere you go, people know the iconic AT&T globe. That’s some pretty powerful recognition. 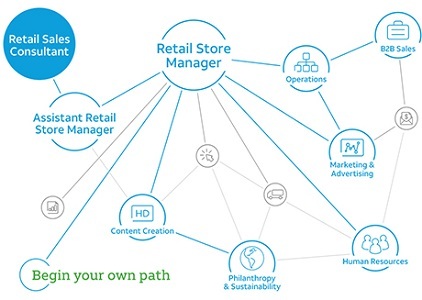 It means Retail employees can build a strong network across the country and earn even bigger opportunities. Plus, it’s a promise to our employees of a strong, stable company. 10. It’s all about you. 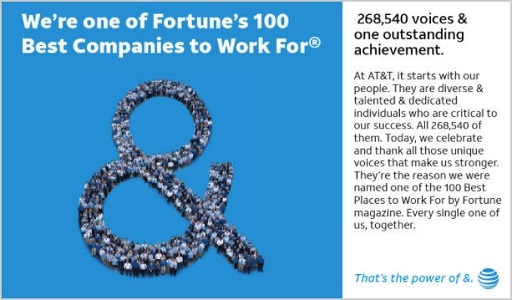 Because AT&T is just as committed to growing your career – every step of the way. It’s an amazing company and has great people. Becoming part of AT&T changed my life.